Beyoncé dropped Formation, a new video and song, the day before she performed a live version at the Super Bowl 50 halftime show. The artist, the song, the video, the halftime performance and the variety of strong responses all provide wonderful inquiry and critical thinking opportunities. Students might research Beyoncé’s biography from Destiny’s Child to the present. They might perform a close analysis of the video and its lyrics. They might perform a business analysis of the song, its performances, and the announcement of the Formation World Tour during the Super Bowl. They might also research and analyze the broad range of cultural and political responses to the video and live performance. The media literacy triangle might be a useful way to organize the inquiry. 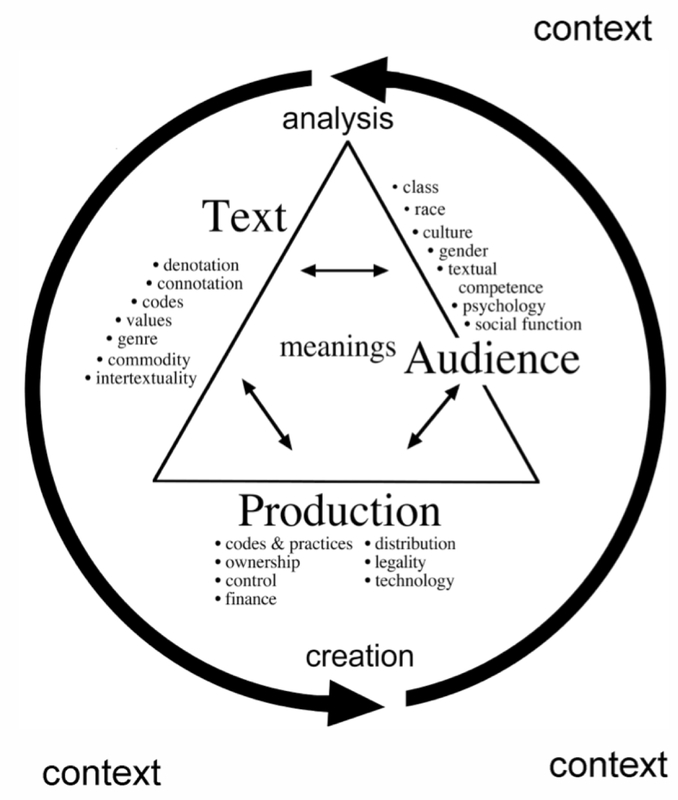 The triangle describes 3 ways of looking at mediated experiences:audience, text, and production. As is often the case in media studies, the audience side is the most compelling point of view when exploring Formation. A major consideration is that of address, meaning which audiences the texts (video and performance) are communicating with, intentionally or unintentionally. In other words, who is the intended audience (for each) and what meaning might they be making? But also, who might be the unintended/incidental audiences and what meaning might they be making? Obvious intended audience members would be Beyoncé fans. These might be most of the people who sought and found the video. But there were over 110 million Superbowl viewers—both American and foreign—and many might not be Beyoncé’s fans, yet would also make meanings from the half-time show*. Their meaning-making would be influenced by their prior knowledge and their worldview. 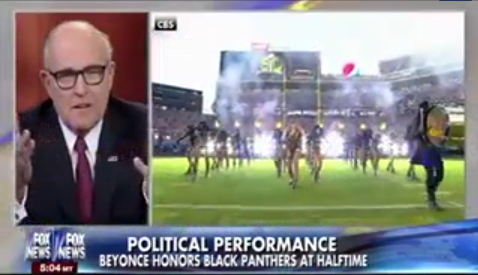 Fox news invited Rudy Giuliani to respond to Beyoncé’s Superbowl performance. “I thought it was outrageous that she used it as a platform to attack police officers.” Bill Maher convened a panel on which rapper Killer Mike explained who the intended audience was and what the intended message might have been. “White people, you are not part of this conversation.” Maris Jones—a Black Girl Dangerous blogger—complained that Beyoncé has inappropriately co-opted New Orleans’ Black residents’ Katrina PTSD experience. Listen to/read these texts, describe and assess their different awarenesses of African-American history, different world views and different understandings. Are they all talking about the video, or are some talking about the video while others are responding to the halftime performance? *The viewer numbers spiked during the halftime show, meaning that more people watched that portion than the football game. What conclusions might we come to about which audiences were watching the halftime show and which watched the game? What are the values most often promoted by FoxNews? Why might FoxNews have asked Rudy Giuliani, a retired attorney and NYC mayor, to comment on a Superbowl halftime musical act? How might Rudy Giuliani’s responses be predictable, considering his past and FoxNews’ values? Which American audience’s worldview might Rudy Giuliani be representing? What are the values most often promoted by Bill Maher? Why might Bill Maher have asked Killer Mike to comment on a musical act? What useful information does Killer Mike provide? How are Killer Mike’s comments political (or are they not political)? Which American audience’s worldview might Killer Mike’s comments be representing? What is the reason for Maris Jones’ objections to Formation? Based on your explorations and analyses of the 3 comments, characterize the audiences that each is most likely attracting. The picture quality in the parking lot scene is very different from the images in the rest of the video. How is it different from the other scenes? (The pictorial quality is relatively degraded, as though recorded on older analogue video tape. Analogue scan lines are clearly visible, and bright areas flare.) Is this scene archival video from Beyoncé’s past, or might it have been tweaked to look that way? What clues help you answer that question? Why might the director want this scene to appear older than the others? How might making it look older influence audiences’ interpretations? We see a New Orleans police cruiser—with Beyoncé on top of it—gradually sink into flood waters at various points in the video. What symbolic meaning might people make from this sinking cruiser? What might be the significance of Beyoncé being on top of—and sinking with—the cruiser? 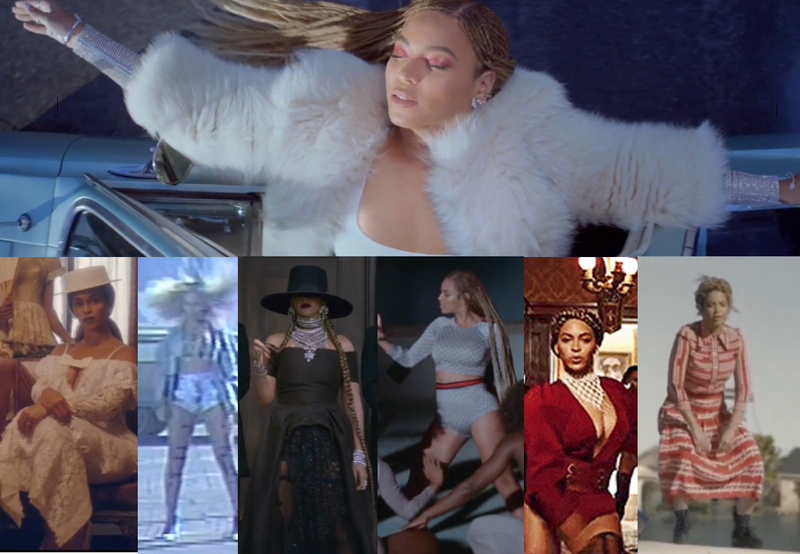 Beyoncé’s costumes and hair change many times in the Formation video. List the different costumes and hair styles. Imagine how they might be influencing audiences’ meaning-making. What might she be trying to represent with her clothing and hairstyles? Hurricane Katrina struck New Orleans in 2005. The video begins with someone asking, “What happened after New Orleans?” and images of the Katrina aftermath. Why might Beyoncé have set the video in 2005 New Orleans? What was the relationship between the New Orleans Police Department and African Americans in the aftermath of the Katrina disaster? Does ALL of Formation occur in 2005, or are the Katrina scenes flashbacks from present-day scenes? How can we tell? How does the New Orleans setting influence Formation’s meaning? We see a boy dancing in front of a line of armoured police. He raises his hands and the police raise their hands. We also see graffiti that says, “stop shooting us.” What might be the meaning(s) of this scene? This scene has been commented upon by many pundits. What have they said? Why might this scene be contentious? What previous events might it be referencing? 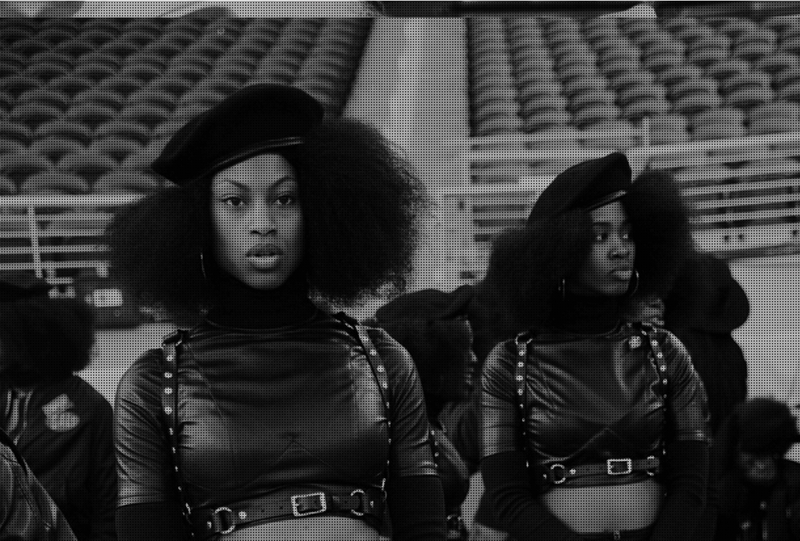 The Black Panther Party is visually referenced in the Superbowl dancers’ berets and Afros. What were the values of the Black Panther Party? How might its values be relevant to recent events? Why might some pundits criticize the halftime performance based on the dancers’ costumes? 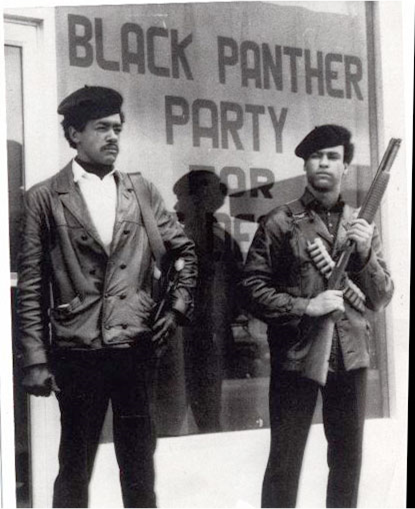 There is no reference to the The Black Panther Party in the video. How might this omission influence its message? How might it distinguish it from the meaning of the halftime show? 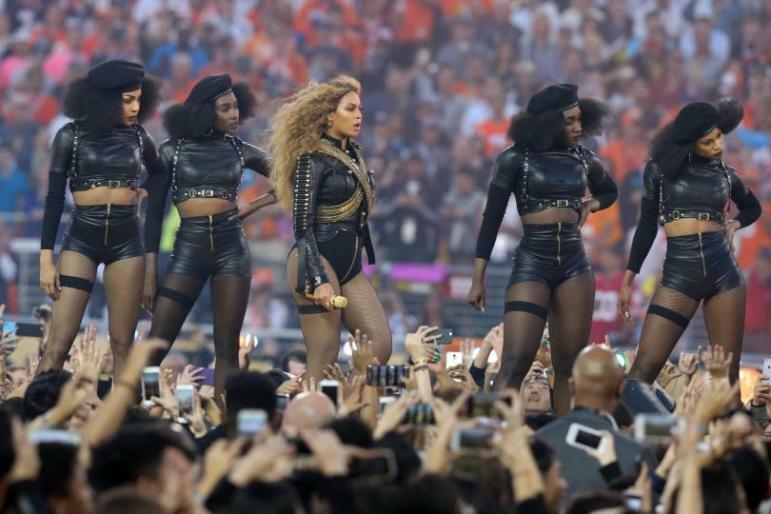 Beyoncé announced the Formation World Tour immediately after the Superbowl performance. Why might this be a good marketing strategy? There is no reference to the Formation video or halftime performance in the promo video, even though Formation is the tour title. Why might the promo video ignore the song? Do you think this is good marketing? Why? How does the promo video encourage people to buy concert tickets? 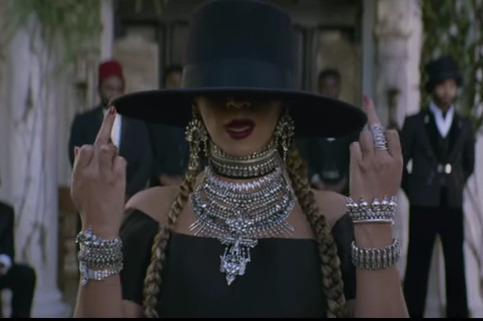 Beyoncé uses the F-word and flips her middle finger in the video but not in the halftime performance. Why might she have omitted these uses of explicit language from the halftime performance? What external conditions (NFL rules, TV contracts) might have pressured her to omit them? 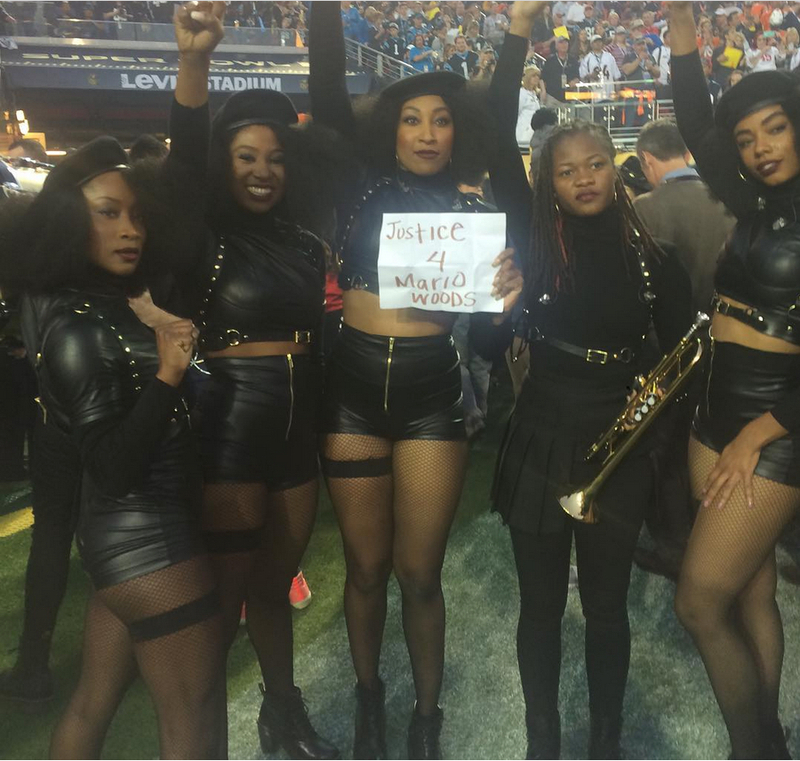 How might their omission change the halftime performance’s message? Does explicit language play a role in audience address? i.e., is it an important ingredient of the music Beyoncé creates for her fans? Is it an unthinkable ingredient for music played at Superbowl halftimes? Does Formation have hit qualities? What are they? Compare Formation’s musical qualities to the musical qualities of other Beyoncé hits (Irreplaceable, Baby Boy, Crazy In Love , Check On It, Single Ladies (Put A Ring On It)). Do you think that Formation ‘has legs,’ i.e., does it have musical qualities that will have people singing it to themselves, performing their own version or placing it on Beyoncé’s hit list? Beyoncé not only co-wrote Formation, she produced and distributed the video through her production company, Parkwood Productions. 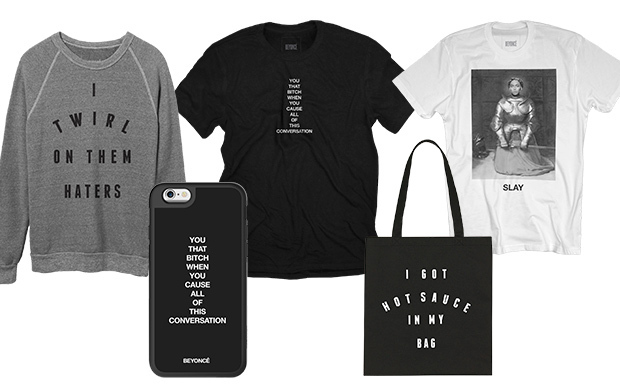 She also sells Formation-inspired clothing through her website. How effectively do the clothing designs reflect the ideas in the video? What additional designs would you use? How is Beyoncé modeling effective business practices for other artists? Do you think boycotting is an appropriate police response? Does boycotting the concerts honour the US First Amendment (free speech)? Is such a boycott legal? Could a boycott prevent Beyoncé from performing in boycotted cities? What alternative security support might Beyoncé access? Genius.com posted Formation lyrics that present annotations (commentary) beside blocks of lines. Read the lyrics and the annotations (click on any line to see its annotations). Do you agree with all of the comments? Which annotations could be misinterpretations, incomplete or better written? One Response to "Formation & Media Literacy"
Interesting that the Black Panther visuals only existed at the Superbowl show. The viewer sees a provocative appropriation and remix of Black Panther black leather, berets, and a suggestion of ammunition (in the dancers’ studded straps). However, the Panther style has been highly sexualized in their zippered shorts, fishnet stocking, and bare midriffs. So an intersection here of sexuality and power: a strong statement from Beyonce about women and black politics – not a surprise. Students can ask whether Beyonce is taking a risk (in the same way Madonna did) in distracting the viewer (many male) from the politics of her message. Might she be negatively affecting the Black Panther legacy? Might she be strengthening her own message nevertheless?